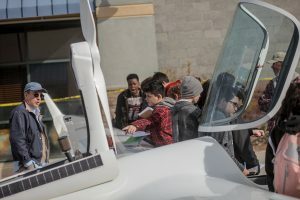 The learners rotated from wing discussion on chordline, relative wind, flight instruments, controls, and the tail assembly. The pilots from Southern California Soaring Academy (out of Llano, CA) did a wonderful job engaging the learners and taking their surface level knowledge to the next step. From the very beginning of the project, the first thing I told the learners was that this was going to be an opportunity. 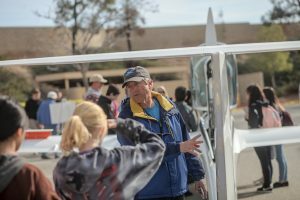 An opportunity to engage with professional engineers, aerodynamicists, and pilots in the field of aeronautics. Life is about opportunities and sometimes, when the right ones fall into your lap, magic can happen. Maybe flight wasn’t going to be their thing, maybe they had zero initial interest in flying aircraft, but I tasked them with keeping a growth mindset during the process. After all of my 100 learners made their way through each station, the glider was dismantled and I sat the pilot volunteers down for lunch. I had learners chomping at the bit to continue their discussions with the pilots. I called them over with a wave of my hand and they barraged the pilots with inquisitive questions about everything from job opportunities, dates for their first flights, and all things flying. I tried to tell the learners that the pilots needed a break and to eat, however I could tell there was no stopping them. After we walked out of the Cafe, lunch was coming to an end and one of the learners stopped me and said, “Mr. L, thank you! What other school would do this for their kids? I can’t begin to thank you enough for this opportunity.” I could see that this learner started to get overwhelmed with emotions and his eyes began to tear up. 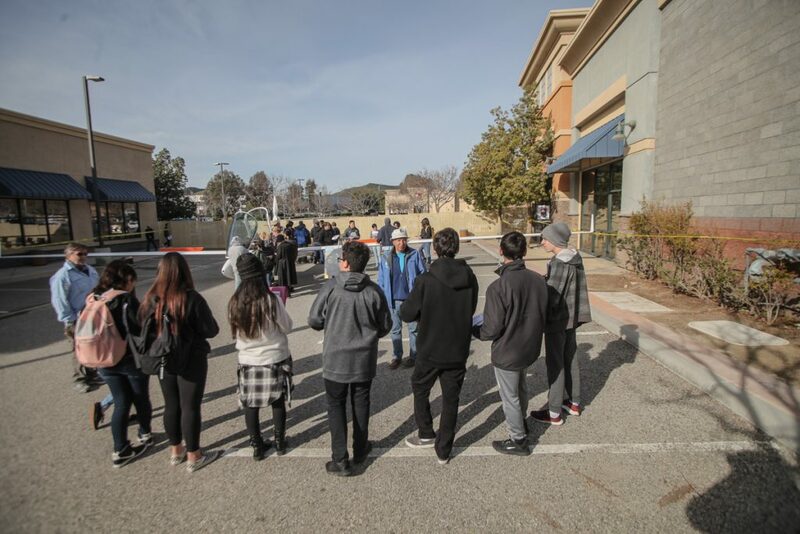 Click here to read a follow-up story on SCVi’s glider day in The Signal newspaper.